Don’t delay! 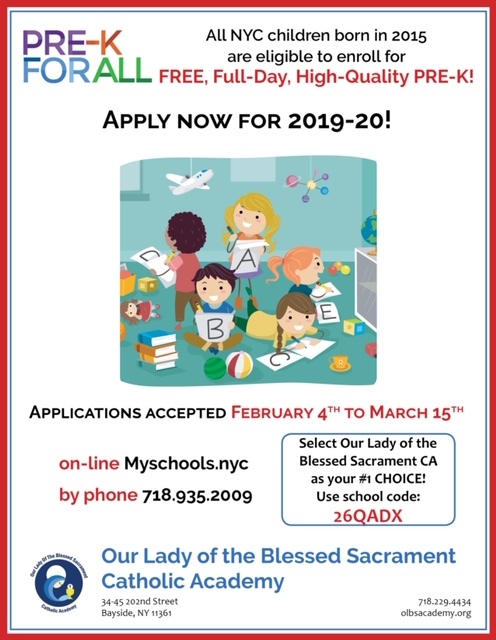 Free, full-day Pre-K is available at OLBSCA for NYC children born in 2015. Apply now for 2019 – 2020!